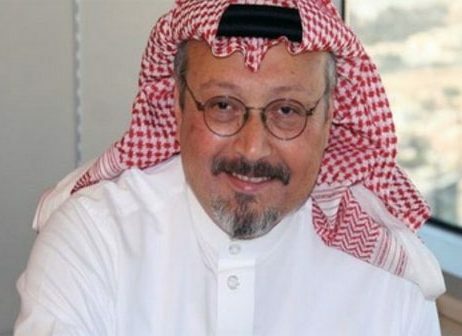 Penny for your thoughts: Missing "journalist" Jamal Khashoggi? Or Arms Trader Like Namesake Adnan Khashoggi? Missing "journalist" Jamal Khashoggi? Or Arms Trader Like Namesake Adnan Khashoggi? I'm being completely honest here, if Jamal Khashoggi is a journalist, in the sense of a real muckracker, I'd be shocked. It's very plain to me that journalism is often a cover for other dealings. Journalists as spies is well known. Marie Colvin comes to mind. How about journalism giving a cover of legitimacy for arms dealing? Why not? Jamal Khashoggi like his namesake Adnan Khashoggi might just be wearing two hats? One hat, a journalist, generally accepted as legitimate. Definitely necessary for the illusion of freedom to be perpetuated. The other hat, arms trader, while illegal, just as necessary for the illusion of freedom to be presented. After all aren't wars mostly presented as 'fights for "freedom"? Clearly, arms traders give governments a hands off means to provide weapons for covert operations? While enriching the military industrial complex at the same time? Again, feeding into this illusion of what government's and their agencies are or are not involved in. At the bottom of this report I'll include some additional persons connected to Adnan Khashoggi. More important to this specific it seems quite possible that Adnan is father to Jamal. If not father and son, definitely related. That’s how it looks to me based on the digging I’ve done. Wish I could verify with certainty, but, I can’t seem to find adequate enough information regarding Jamal’s genetic lineage. Which is a pretty significant fact in and of itself. Right? Interviewed Osama Bin Laden. Hailed from Saudi elite classes. A world renowned journalist. Yet, his bio is really lacking! UPDATE October 8/2018: Not only did Jamal interview Osama Bin Laden- He spent 7 years traveling with him! "A PROMINENT Saudi journalist who conducted several interviews with Osama bin Laden and once tried to persuade him to reconcile with the Saudi royal family has resigned as editor of the nation's leading newspaper. Khashoggi could not be reached for comment. He (Khashoggi) interviewed and travelled with Bin Laden at times between 1987 and 1995, including in Afghanistan where he wrote about the battle against the Soviets. In the early 1990s, he also tried to persuade Bin Laden to reconcile with the Saudi royal family and return home from his base in Sudan, but the al-Qaeda leader refused"
That's a whole different ball of wax isn't it? Jamal Khashoggi traveling with Bin Laden. 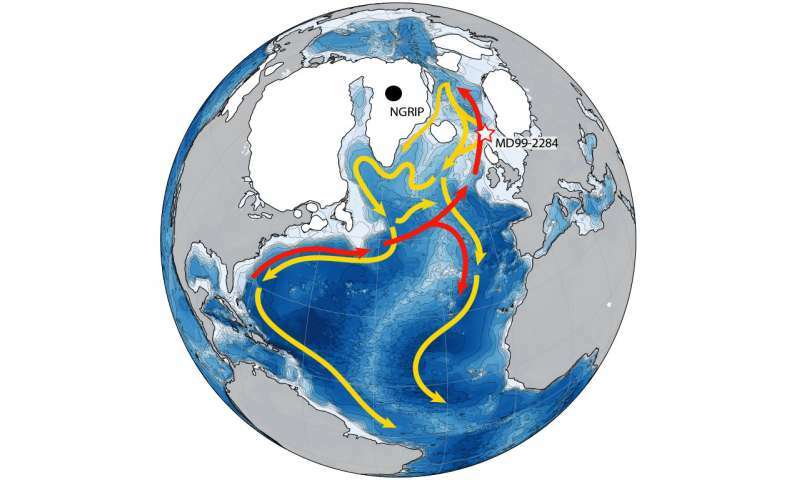 Over a period spanning years. Just like the earlier mentioned Marie Colvin- Travellin' round with terrorists! From nation to nation. If we consider the possibility of Jamal and Adnan being blood. Possibly being father and son. And having all the 'right connections".... In the arms dealing underworld that is? With ties to Osama Bin Laden who undoubtedly used the services of covert arms traffickers! This likelihood opens up many more questions about this "journalist". Why he was in Turkey? Was he involved in some kind of dealings that took him to the consulate having nothing to do with getting a marriage license? This whole marriage license narrative doesn't sit right? Why didn't Jamal just visit the consulate in the US if he felt threatened to enter such a place. He surely would have had more guarantees from the US, since Jamal resides in the US, allegedly in self imposed exile- Just like the CIA's Gulen in Pennsylvania. Also, Living in self imposed exile. Lack of biographical information at his wiki page. Khashoggi was born in Madinah in 1958. He received elementary and secondary education in Saudi Arabia. He obtained a bachelor's degree in business administration from Indiana State University in 1982. No mother. No father. No family. That's his bio as it appears at wiki! That's bothersome! Had some person/s added more to his biographical information.. which was later removed by wikipedia? That's certainly not unheard of particularly for persons of wealth and influence who may not want certain connections made between themselves and others. Unwanted attention and all that! Jamal Khashoggi's grandfather is Adnan Khashoggi's father- We have family lineage! Though that information is not included in Jamal's wiki bio. Adnan had a slew of children. Two numbers are reported- 6 and 8. There were claims of a second daughter, but, I saw reports that Adnan was not the sugar daddy of that child as paternity tests proved. Who are the others? All of them reported to be male? Seems to be a secret? Why? Perhaps they don’t want their names sullied by their father’s reputation, though they are all OK with their shares of his wealth undoubtedly? Or should I say... his blood money. IF Jamal Khashoggi's father is Adnan- And I do believe he is. Adnan was about 23 years old when Jamal was born. Born in Mecca, Saudi Arabia in 1935, Khashoggi was the son of the personal physician to the then ruler Abdul Aziz al-Saud. He used those royal connections to act as a broker to companies wanting to access a market awash with oil money. He arranged arms sales with British, French and US weapons makers, which helped him amass a fortune that at its peak was estimated at £2.4bn. Khashoggi, who has died at the age of 82, was implicated in the Iran-Contra affair, acting as middleman in the secret sale of weapons by the US government to Iran when it was supposed to be under an arms embargo so the cash could be funnelled to rightwing militants in Nicaragua. "The Sunday Times quoted Saudi arms dealer Adnan Khashoggi as saying that Mark Thatcher's value to the Saudis during the negotiation was that he could go to his mother and get an answer to any question they raised. The arms deal in which Mark Thatcher was reported to have been involved concerned the sale of $30 billion worth of jet fighters, naval mine-hunters and ammunition to Saudi Arabia. At the time, it was called "the arms deal of the century" by the British media"
"The Washington Post has printed a blank column in support of its missing Saudi contributor Jamal Khashoggi. Mr Khashoggi - a critic of Saudi Crown Prince Mohammed bin Salman - has not been seen since visiting the Saudi consulate in Istanbul on Tuesday. Saudi Arabia says he left the building but Turkey says he may still be inside. The newspaper said it was "worried" and called on Mr bin Salman to "welcome constructive criticism from patriots such as Mr Khashoggi"
It's interesting too that this 'missing journalist' story comes hot on the recently cooled heels of the much adieu about nothing Saudi/Canada spat. Jamal is alleged to have gone missing from the Saudi consulate in Turkey. Was he actually in Turkey? If he was, why was he there? The fiance places him in the consulate. The story goes something like he went to get a marriage licence and left his poor bride standing outside. That seems really silly. "On Tuesday, Khashoggi entered the consulate to get paperwork he needed in order to be married next week, said his fiancée Hatice, who gave only her first name for fear of retribution. He gave her his mobile phones for safekeeping, something common as embassies throughout the Middle East routinely require phones to be left outside as a security precaution"
She won't give her name out of fear? As if anyone who wants to know who and where she is doesn't already know? Seems non credible. If not for her claim we wouldn't have him at the consulate. Qatar news is suggesting that this was a stunt done to embarrass Turkey. According to Qatar-based Mauritanian writer Mohammad Al-Shanqiti, “Saudi wanted to embarrass Turkey,” and that is why Khashoggi was taken in Istanbul. "Last Friday, three Saudi military consultants went to Ayn al-Arab district's Harab Isk village to hold meetings with YPG/PKK terrorists. Saudi officials have set up communication checkpoints in al-Hasakah and Qamishli to recruit fighters . The new Arab force will be part of the North Syria Federation, which YPG/PKK had unilaterally claimed in March 17, 2016. Saudi Arabia sent truckloads of aid to YPG/PKK via Iraq last month, without explaining its content or revealing if there was any ammunition or weapons inside. A Saudi minister who is responsible for Gulf relations visited YPG/PKK-occupied al-Raqqah province last October with U.S. officials to gather information." If Jamal is in the same business as his namesake... ?? The Saudi's have been supplying the Kurds with arms, covertly.... Might Jamal have been the man doing so? If that was the case, and he went missing from the Saudi consulate might this suggest to us that all is not well in the Saudi Kingdom? That there are divisions? Those that may wish to stop this regional game of chess? - Or pressure/embarrass the Turks as is suggested by the Qatari journalist. - Possibly even an attempt to frame Turkey? - Then of course, setting aside all the other possibilities mentioned of this whole situation- could it just be that there is no honour among thieves and it's just that simple? - Donald Trump - Yes, Donald Trump. And wife Ivana. Donald eventually taking ownership of Khashoggi's yacht. 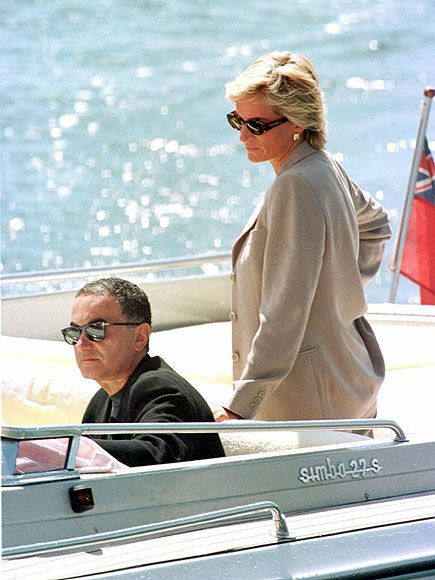 Soheir Khashoggi's son was Dodi Fayed. But I've spent way too much time trying to fix it. I simply don't believe the presentation via the always obfuscating media regarding the disappearance of this alleged journalist.. Yes that is interesting- particularly when thinking of the connections- global in scope that are very nefarious. Here's one more I should have added to the post, and will do so now. Jamal may be an apple off that very same tree! Which connects him to Adnan again. Clearly I've got additional updating to do! In the french wikipedia they say that he is the cousin of Adnan Kashoggi. does it say who his parents are? I found nothing. No information of any sort. Odd that it says that in french wiki and nothing here in 5 eyes land? No, only that. I followed the link given as source, article in Libération from the 5th octobre, but there that information isn't even present. I don't where they get that from (so much for wikipedia sourcing). I spent hours trying to find some documentation about Jamal... and it is missing. One conclusion I can draw so far is.. if we aren't supposed to know Jamal's background-- some persons of influence have made that a reality. Wouldn't that make him friends with the cia also? I'm so glad to see you around!! Had been thinking about you and said to hubby earlier in the week- I'm concerned about jo6pac.. So i've just cheered and said to my husband- yeah it's jo! As for your comment regarding Khashoggi? "Wouldn't that make him friends with the cia also?" Yes, I would agree that his cavorting with OBL would suggest CIA connectivity- And like Gulen, Khashoggi was self exiled in the US- Gulen being.. yet another CIA asset! Yep the treatment is done by the radiation side effect are not fun at all and could take up to a year to go away. I just planted some tomato plants in my greenhouse so hopefully I'll have real tomato in late Nov.
Time to go out and work on the firewood for winter. In Calli it look like it will be wet:-) and warmer than normal. Meanwhile get busy with the firewood. Penny, Have you tried other search engines besides the gag-gle controlled ones? I use Duckduckgo, there are others. Perhaps you can find more info uncensored there. Thanks for your out-of-the-box perspective on this. Here is also a link you might want to watch, how they fool people by astroturfing. Could this Khashoggi story be manipulated by this method, to get the masses to believe another lie?